The process to achieve a quick sale of your property is relatively simple and involves just a few steps to get your house sold. 1. After you initial enquiry we will contact you to have a further chat to discuss your specific circumstances and to understand the timescale in which you need to have your property sold. We will also discuss your specific circumstances and requirements to ensure that we work with you to achieve the sale, as you want it. 2. Once we have had the initial chat, we will conduct a valuation of your property to determine the current market value. This is a relatively quick process and does not involve a few quick checks from our side to determine the value of your property. 3. 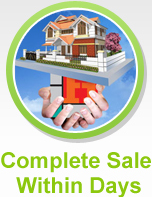 Upon the completion of the valuation, we will propose an offer in principle for your property to get the sale started. The price offered can range from 90% to 75% of the value of your current property. It is important to remember that since we will be buying your house directly, you will not incur high estate agency fees normally associated with such a sale. 4. 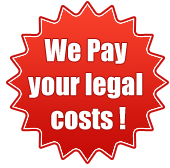 Upon the acceptance of the offer, we will instruct our solicitors to start the sale purchase. This is again a relatively quick exercise. You will be asked to exchange contracts and the property is sold in a mater of days. 5. Depending on the condition of sale, we will also offer you the option to rent back the property from us, if this is something that was requested. This option is usually chosen by people who don’t have a new residence planned and would like to remain in the property to save trouble finding a new place. Contact us to get the sale of your house started. We will work to ensure that we meet your specific needs to make the process as easy as possible.